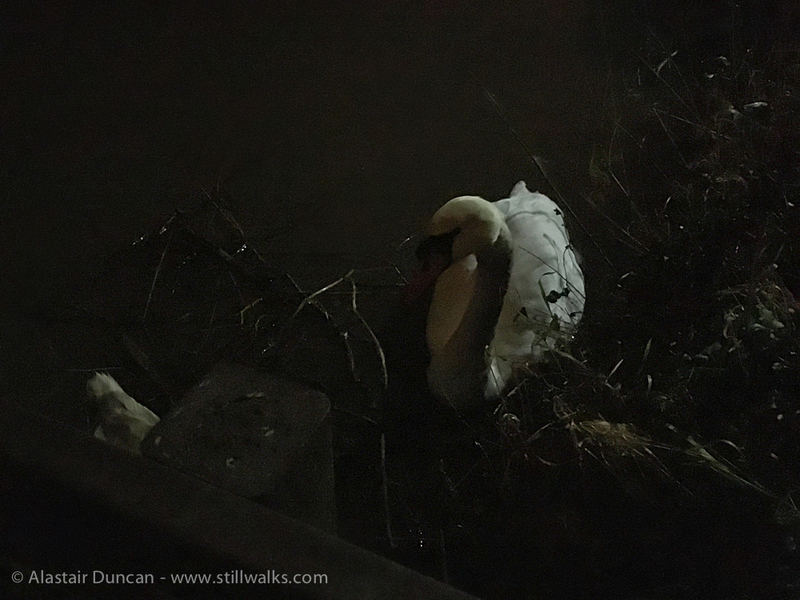 Many of the birds on Hemlington Lake were roosting during my night time walk around its perimeter. Some however, like this swan, thought there might be some food on offer. Unfortunately for him the best I could do was to take his photograph in the wan light of a distant street lamp. It was darker than I had expected on this night walk. Being a suburban lake I thought there would be more ambient light from the city. It seems the lake and its surrounding grass and trees provide something of an oasis from the hustle and bustle of the urban landscape – just as intended. Posted in Landscape, Nature, Photography, Urban, Walks and tagged city, Hemlington Lake, iPhonography, Lake, night, night light, night walks, oasis, photography, reflections, street light, Swan, town, urban, urban walks, walks.